The county of Cheshire has seen a 60% increase in film production since it signed up to a charter officially designating the county as 'film friendly'. Since signing Creative England’s Production Liaison Charter in September 2011, the local economy has benefitted from an estimated £1m extra investment as a result. The charter is a UK-wide industry standard which provides support for filming, and has helped to facilitate recent productions like Channel 4’s Fresh Meat and ITV’s Scott and Bailey. The charter designates employees from Cheshire's four local authorities - Cheshire East, Cheshire West, Warrington and Halton - as a first port of call for film crews in the area. Richard Milkins, visitor economy development manager at Cheshire East Council, said: “Bringing productions to Cheshire has huge benefits to the local economy. 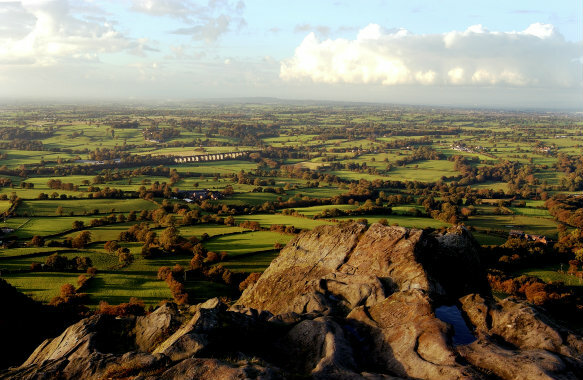 From more visitors and increased spend to improved awareness about the idyllic scenery and locations available in Cheshire’s Peak District. Cheshire was the first county in the North West to sign the charter.